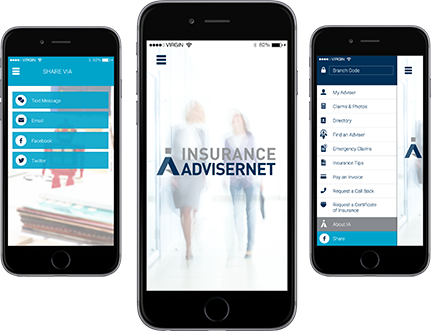 Russell Coutts is an Authorised Representative of Insurance Advisernet (IA), one of Australia’s largest General Insurance Brokers. IA was founded in 1996 and has 180 branch’s across Australia and New Zealand. Russell is the designated IA Authorised Representative to service ASSA’s members. Russell is committed to delivering ASSA’s members with prompt and “plain English” service to protect you and your Swim School business. His focus is to deliver superior quality service whilst fostering strong, long-term relationships. He wants to get to know you and your business. IA’s services include insurance advice, risk advice and claims management. Its clients are located Australia wide and are very diverse in their activities. IA has access to every major insurer in Australia including Lloyds of London. IA’s focus is to provide its customers with the right insurance solutions, all built upon its four core business pillars, trust, advice, choice and value. Russell is based in Brisbane, Qld. He has over 30 years general insurance broking experience looking after SME and Corporate clients across a wide range of industries. Russell prides himself on old fashioned “hands on” service, delivering prompt and clear responses, being contactable and also ensuring clients receive their full entitlements in the event of a claim. Amy Parker has 8 years general insurance insurance in Australia and New Zealand. Amy is a vital member of the team to ensure all ASSA members receive a timely response to their insurance inquiries and requests for quotations. To obtain a no obligation insurance quote please complete this Swim School (Health) Proposal Form (DOWNLOAD HERE). Complete as best you can, sign it, and return direct to rcoutts@iaa.net.au We will contact you to discuss your needs and concerns. If you are unsure of anything on the Proposal Form either leave it blank or call Russell Coutts on 0432 761 581. RDC Insurance Advisers Pty Ltd is a Corporate Authorised Representative of Insurance Advisernet (IA) founded in 1996. IA are a national organisation in both Australia and New Zealand and this allows RDC Insurance Advisers Pty Ltd the benefit of maintaining their local presence whilst being able to be part of a national group for products and services needed by their customers in todays complex business world. Thank you for contacting RDC Insurance Advisers Pty Ltd! Your message has been sent successfully. One of our skilled Advisers will be in touch with you shortly. I was very impressed with Russell Coutts from Insurance Advisernet when asked to quote the Public Liability insurance cover for our two swim centres. His quote was not only $500 lower than our previous provider but he also included $1,000,000 Management Liability cover, something we had not considered in the past but in this over cautious world it helped us accept his proposal. We will be seeking his quotes when our other insurance fall due. Most swim school operators will agree that navigating insurance options can be frustrating and confusing, and often we just stick with what we have always done, even though we know there might be better options out there. I approached Russell from Insurance Advisernet, and was pleasantly surprised with the attention to detail and understanding of our business needs from a risk and insurance perspective. We were matched with the best product to suits our needs and budget, but provides us with peace of mind. Russell’s communication is excellent, offering good old fashioned service. I have no hesitation in recommending Russell and his team to anyone who is tired of just plain old average and wants an insurer that goes the extra mile. RDC Insurance Advisers Pty Ltd is a corporate authorised representative of insurance AdviserNet Australia Pty Limited. Corporate authorised representative number 266676.